Click the plus sign in the top menu bar, then browse for the file(s) you'd like to add to your conversion job. 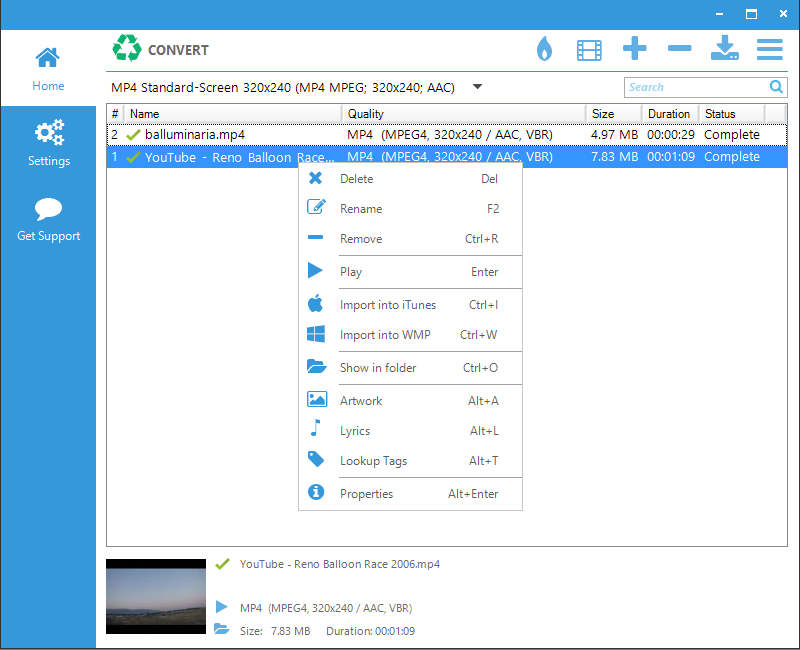 Jaksta Converter's main window includes a drop-down menu at the top-left. Here you'll find many different conversion options that are pre-set for you. The conversion settings are sorted by both file format and device manufactuer so that you can quickly and easily find the one that is right for you. You have full control over the preset conversion settings and can create, delete and modify them as you wish. However as new devices and formats are released, we update preset conversion settings on our servers and these are automatically downloaded when you start the application. To create, delete or edit existing present conversion settings, see the Conversion Presets section below. 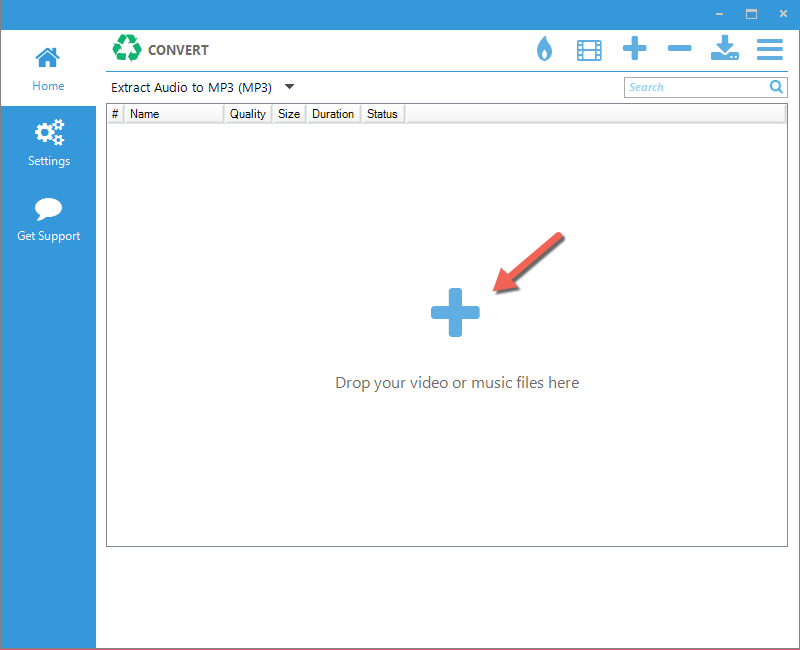 Once you've added your file(s) to Jaksta Converter, simply click the green Convert button at the top-left. The Convert button will change to a Stop button. Use this to stop a conversion in process. When the conversion finishes, it will be saved to your selected Output Folder as described in the Settings section below. Delete: Deletes the file and moves it to the Recycle Bin. You will be asked to confirm this option. Rename: Allows you to rename the file. You can also rename the file by single-clicking on the file name in the conversions list. This will display the edit box. Just start typing to rename. Remove: Removes the file from the conversions list. This does not delete the associated file from your computer. Play: Plays the selected file. A selected file can also be played from the preview section at the bottom of the main window. Import into iTunes: Sends the selected file to your iTunes Library (note: file must be an iTunes compatible format). 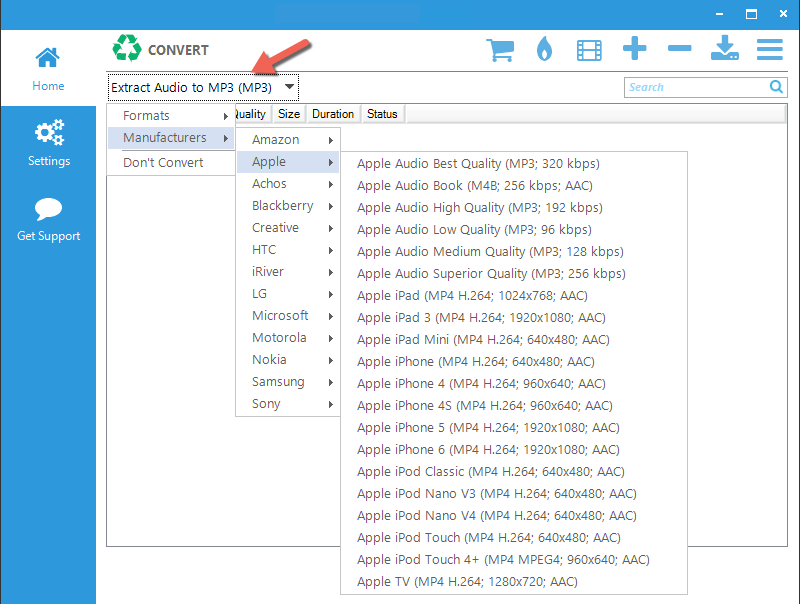 Import into WMP: Sends the file to your Windows Media Player Library. (note: file must be a WMP compatible format). Show in Folder: Opens the file folder that contains the file. A selected file can also be shown in folder from the folder icon at the bottom of the main window. Artwork: Looks up album art. Lyrics: Looks up song lyrics. Lookup Tags: Looks up ID3 tags. General tab: Displays the file properties, location, source, duration, size as well as audio and video information. Advanced tab: Displays advanced file information. Progress Log: Displays the conversion log for the selected file. From Jaksta Converter's top menu click the Burn icon. Select the type of disc that you'd like to burn. Make sure there is blank media in your CD/DVD drive. Click Next. Select your CD/DVD Device drive. Click Next. Select the files to burn. Click Next.